Reusability of launching rockets has been the obsessive concern of space scientists for several decades. Since the manufacture of launch vehicles causes a huge erosion in the national exchequer every time, space experiments have been receiving reluctant/delayed approvals from the government. The colossal expenditure incurred in manufacture of rockets which would perish permanently within minutes of launch of payloads has always been a dragging factor in annual budgetary allocations. The notion of building reusable rockets has gained substantial attention of policy makers since millions of fund would be saved up. Falcon Heavy rockets are prepared to use as many as hundred times. Successful launch of payloads by reusable rockets not only reiterates the capability of space engineers but strengthens the confidence of national policy makers who repose faith in scientific adventures in space. Falcon Heavy, as the succeeding mightier cousin of Falcon 9, has accomplished a more onerous task of sending a satellite into space and triumphantly landing all its three boosters on land, making it a glorious conclusion of the mission. 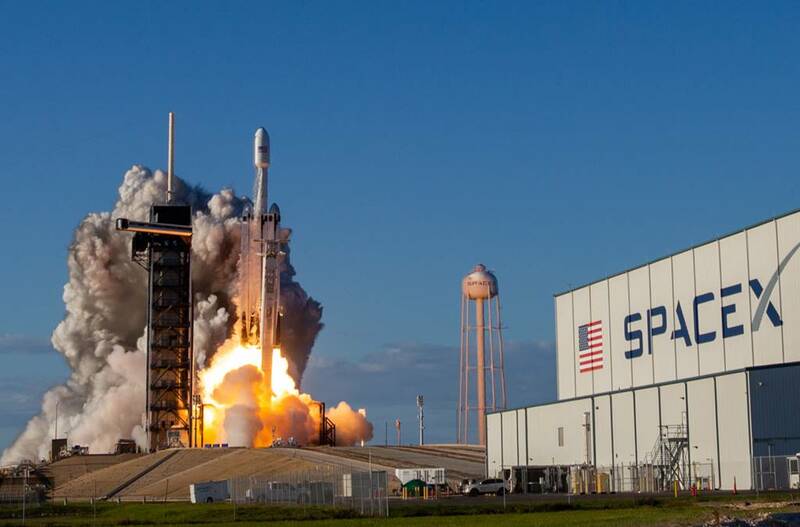 The launch took place on 11th April 2019 from the Kennedy Space Centre, Cape Canaveral, Florida, USA which was the same spaceport for Falcon 9 as well. Falcon series has been the creation of SpaceX agency, USA. The efforts in the mission had to be more adamant and resilient after the experience of the almost-successful task of its precursor in 2018. Each mission has a successful saga to announce to the world. The earlier mission had sent a Tesla sports car in which a dummy mannequin “Starman” was seated in the driver’s saddle adorned with a helmet and a pair of goggles. Falcon 9 was a two stage medium launch vehicle using liquid oxygen and rocket-grade kerosene propellants. The dummy mannequin was securely perched in the driver’s seat and the automobile payload (Tesla car) was released to carry on its further odyssey beyond Jupiter. However, the conclusion of mission can be said as nearly successful because the two out of the three rocket boosters were able to land back on their pre-determined slots and the third main rocket, after setting free its front segment into the sky, could not plant itself properly in its slot as the payload tesla car was found to have overshot its target. Fully conscious of the previous flaw, the scientists of SpaceX worked more intensely to ensure proper completion of mission in its entirety. On deploying the Arabsat 6-A, all the three rocket boosters returned to their respective slots safely, making the mission more apodictic and absolutely complete. Arabsat 6A is a geostationary communication satellite of Saudi Arabia. M/s. Lockheed Martin signed a contract on April 9, 2015 with Saudi Arabia to manufacture the satellites Arabsat 6A and HellasSat 4/SaudiGeosat 1. The design of the satellite was to be a more sophisticated variant of A2100 bus of Lockheed Martin. The lift-off took place from the launch pad no.39A at Cape Canaveral and the satellite was released to reach almost one fourth the distance from the moon. The mission life of the satellite was expected to be fifteen years. The objective of Arabsat 6A was to provide communication services related to television, telephone and internet to customers in Middle East, Africa and Europe. In addition to the successful launch of Arabsat 6A, it is the accuracy with which all the three rocket boosters returned to earth for a safe vertical landing that kept the viewers speechless in astonishment. SpaceX is currently busy with the 34 forthcoming launches, some of which include offering logistic services/ cargo resupply to International Space Station. 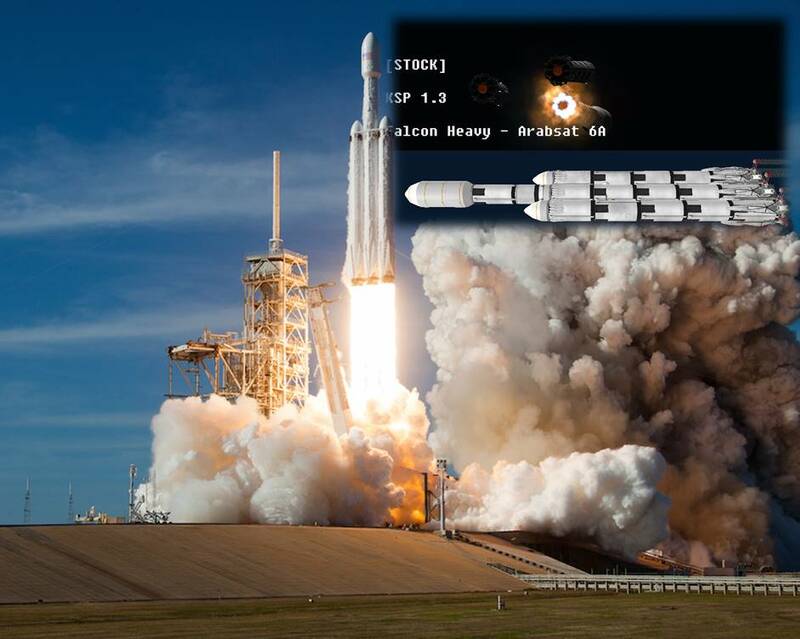 Falcon Heavy is aptly named for its robust built to withstand high temperature stresses during launches as well as landing.